Slimirex® is the only advanced weight management formula in the world combining 10 proven fat fighting and appetite suppressing nutrients in every dose. ... and Fire up your metabolism to help you shed pounds !! If you're like most people you will find that those extra pounds have found a "home on your hips, thighs, buttocks, and belly", and you just can't seem to remove them! You have probably tried other diets that just didn't work. You don't want to be as skinny as a model, it is NOT your lifestyle and it is NOT realistic! All you really want to do is just improve your self-image, slim down, be healthy, and be the best you can be. 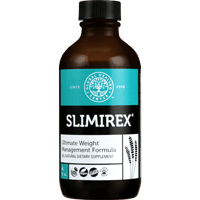 Slimirex® is the most researched weight-loss supplement available on the market today when you combine the research on its popular weight loss ingredients. With 10 separate ingredients to boost your metabolism, reduce your appetite, increase your energy levels, promote lean muscle mass, and improve your life. Slimirex® is without a doubt the "ultimate weight loss supplement solution".